Research on current conditions is based on a study of academic and analytical literature, in- depth interviews with European experts, and seminars with Chinese and European practitioners and experts. These have been complemented with ISDP’s in-house expertise. The opportunities for policy development have been identified based on suggestions from experts, analysis of dialogue sessions and ISDP’s immediate experience of almost ten years of intense work on Sino-Nordic relations. The report is structured into three parts: First, it will first provide an overview of the Nordic countries and their position as a European sub-region. Second, it will analyze the interests, objectives and principles governing mutual engagements. Third, a series of topically grouped opportunities are presented though which China and the Nordic states can seek to improve relationships. This study argues that both China and the Nordics have significant gains to make through closer cooperation. Relations based at the larger, Nordic regional level would be more interesting to China. Bilateral relations with five small individual states would be less so. To this end, the Nordic countries share common concern and interests, and maintain basic policy frameworks. Towards China, however, the Nordics diverge on geopolitical stakes, mutual competition, economic structures and multilateral affiliations. Substantial efforts will be needed to strengthen Nordic collaboration as unit, in order to maintain meaningful relations with China. Further challenges lay ahead in developing Nordic institutional coherence at the European sub-regional level. People-to-people relations leave space for improvement. The overall public image of China among Nordic societies has deteriorated in recent years, however, data is sparse and this trend may vary among Nordic countries. Equally, the understanding of China by Nordic populations is poor, not least in the fields of political affairs, development and security policy. Deeper dialogue on areas of common interest such as the Arctic and “Belt and Road” region offer opportunities. Economic relations have been fruitful. However, some opportunities remain underutilized. Nordic input on innovation, entrepreneurship, welfare and urban governance could be of great value to China’s domestic reforms. 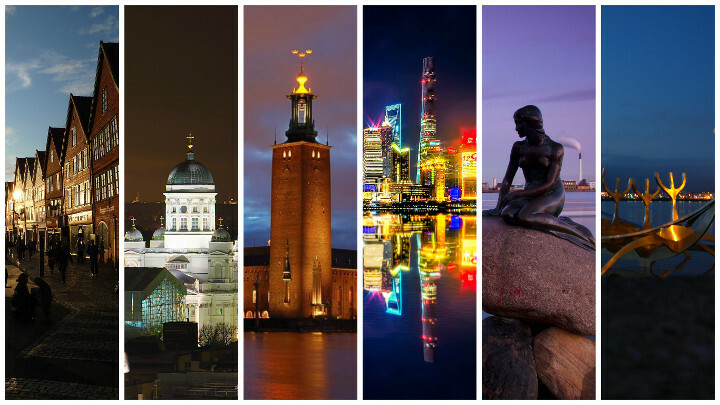 In turn, China’s reforms offer numerous projects, new markets and investment opportunities to Nordic enterprise. Scientific and environmental relations are areas which both parties have shared mutual competences. China is fast becoming one of the innovative countries in the world. Here, the Nordic region can provide training opportunities and access to key expertise. In turn, Chinese scholars and expertise can complement areas where the Nordic region lacks its own resources. Security and development are fields of complex relations. China has shown great commitment to development in recent years whilst Nordic institutions exist as knowledge bases for development policy. Looking ahead, active and tangible policy measures will be required to gradually expand and then deepen relationships. In the short term, both sides should work towards building a base for further engagement. In the medium term, coherent and mutually recognized frameworks are needed to guide and interconnect policy efforts. In the long term, Sino-Nordic linkages can become a hub for dialogue and international coordination.